There’s been a lot of talk about a television off late with lots of people saying how the television is loosing its value which is quite true. There are currently about a 150 channels that my Direct to home television provider offers to me at a monthly fee. Out of these only a few channels are of any use to me and out of those channels, I watch only 5-10 shows regularly. There’s just an incredible amount of choice being provided to me where all I need is a subscription to those 10 shows. To top that, there’s no option to watch quality episodical internet videos like The Verge’s Top Shelf. And with an increasing amount of quality internet content being provided, not only for recreation but for learning new things. My video consumption is often more on the web than on my television. There are a few television sets which claim to be “smart” but actually just include a bunch of apps with a crappy interface to allow you to browse this content. Then there was the Google TV, which attempted in making viewers interact with a TV like they would with a computer. The thing is, when we watch television, we are just looking to consume content. We’re not looking for a very high-level of interaction with our TV Sets. We don’t want to attach a keyboard and start searching for our favourite shows. For these and many more reasons the TV is broken. It needs a simple to use interface which provides all the video content we generally consume and yet keep the remote and gestures as simple as possible, so that viewing a TV is a fast experience. Last week I started watching a TV Series, called Sherlock. I had heard a lot about it over the last few months, Every one looked mighty impressed with the series & then there was this extra curiosity as to how well the novels were adapted and restaged in the twenty first century London, I had really liked the Sherlock Holmes series which starred Robert Downey Jr. as the detective, and had I hopes from this series too. But Sherlock starring Benedict Comberbach is the least Sherlock-ish adaptation that I have seen. Every character has been twisted & molded into someone completely different, including Holmes himself who seems to be in a limbo between an extremely irritating maniac ( and a grammar Nazi) and the vintage Sherlock with strong observational skills & a penchant for violin. Watson has been turned into a timid war-retired doctor. Who is easily downplayed by Sherlock for the difference in the two's observational skills. Actually, in the books Watson was quite fit, chivalrous and a one of the best friends of Sherlock, always treated as an equal. Sherlock needed Watson more than Watson himself. The entire premise of of Sherlock playing Sheldon (Reference to the Big Bang theory) to Watson is irritating. Sherlock himself seems to have inherited only the detective traits from the nineteenth century Holmes but inheriting the general manners from the Big Bang Theory's Sheldon Cooper. The Sheldon card is being played too much these days, its a bit funny and even appreciable in the beginning but it being repeated so often makes it look irritating, rude and insensitive. 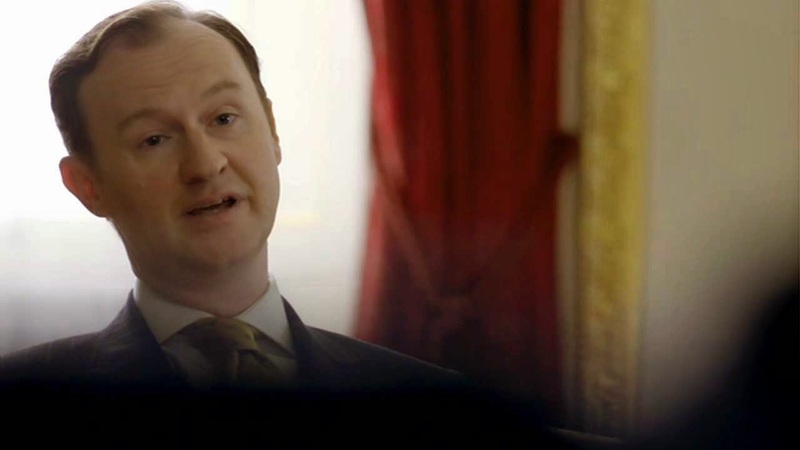 Sherlock’s brother Mycroft plays an important role too. But the one character I think, which the directors aced in this TV series is That of Moriarty, Moriarty exists in this series as someone who gives a connection to all the episodes. He is perhaps the most interesting antagonist I've seen in a long time, acted perfectly by Andrew Scott. But Moriarty of the series is far removed from the Moriarty of the books. He wasn't "that" special in the books. Had only a single appearance and only got popular because of the recenbach fall incident after which Doyle took a break from the series and yet this entire TV series seems to be a catch-up game between Sherlock and Moriarty. Frankly speaking, Sherlock is as much of an adaption of the Sherlock Holmes Books, as a romantic drama with Sherlock Holmes & Irene Adler in it would be. 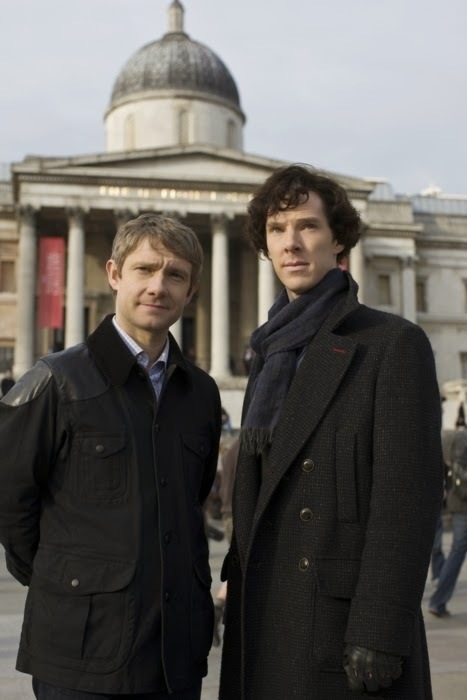 But with the adaptation tag removed, Sherlock is an extremely interesting show to watch, addictive even. It's well written and very engaging. The transition from the late nineteenth century London to a London of 2010 is pretty smooth. And from the little that I've seen of Sherlock, the stories are top notch too. Perhaps I'd have liked it better, Had they named the series something else & not called it an adaptation.